Dr. Adrienne McLeod is a chiropractor practicing in the New York City area. She holds a Doctor of Chiropractic degree and a Master of Science in applied clinical nutrition from New York Chiropractic College. Dr. McLeod earned her Bachelor of Arts in psychology from Long Island University. Dairy allergy symptoms in adults are less common than in children, but they have a tendency to be more persistent. Skin, respiratory and gastrointestinal symptoms may occur separately or they may overlap. In the most severe cases of dairy allergy, anaphylaxis is a life-threatening symptom. An article in the March 2007 issue of "Small Ruminant Research" notes that cow milk contains more than 20 proteins that can cause allergic reactions. 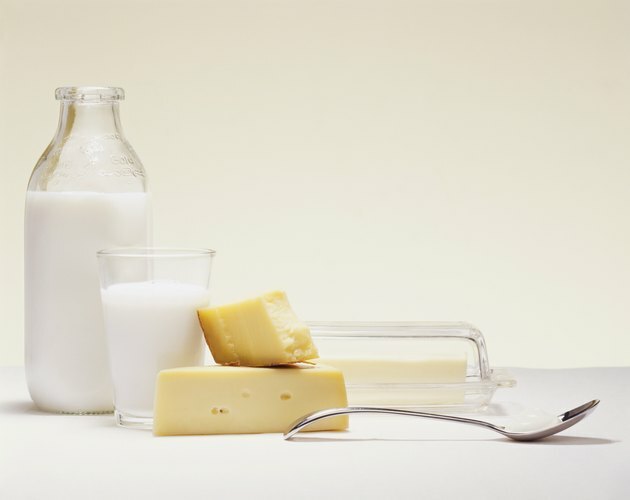 Skin reactions after drinking or eating dairy products are common in people who are allergic. A rash may erupt and spread on the face and body. The skin may appear inflamed. Hives may appear as itchy red welts. 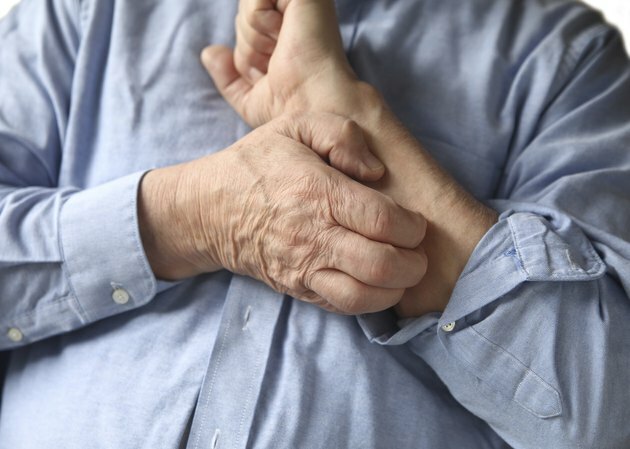 Eczema, described as patches of itchy and dry skin, also has been reported. The skin may swell within its deeper layers -- a condition called angioedema. These symptoms can occur immediately upon consumption of the dairy product or within a day afterward. When skin reactions occur hours later, it can be more difficult to pinpoint dairy allergy as the cause. According to guidelines published in 2010 by the World Allergy Organization, if you have a dairy allergy, consuming milk can inflame the entire gastrointestinal tract, starting with the mouth. Oral allergy syndrome, or lip swelling, can occur as you are drinking milk. The esophagus may become inflamed, making it difficult to swallow and causing vomiting. Symptoms similar to gastroesophageal reflux disease also have been reported, as well as bloating, stomach cramping, constipation and diarrhea. Respiratory symptoms of dairy allergy usually occur with other symptoms. 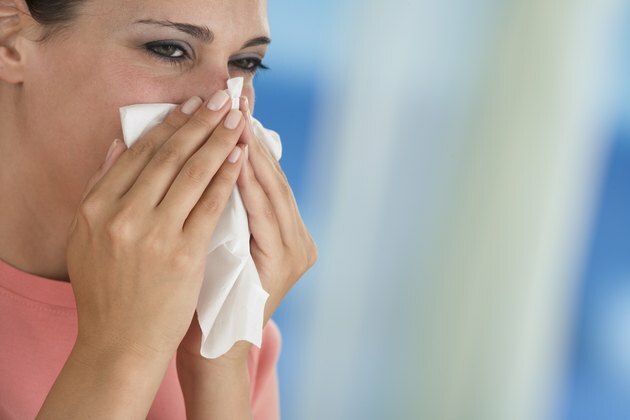 Upper respiratory difficulties are most common and include rhinitis -- a term used to encompass many different symptoms, such as sneezing, running nose, throat tickling and itching nasal passages. Wheezing, chest tightness and feeling short of breath are lower respiratory symptoms. These are both less common and more serious than upper respiratory symptoms. Although rare, inhalation of milk proteins by those with dairy allergy can lead to an asthmatic reaction. This may occur by breathing in either milk powder or the vapor of boiling milk. The most severe symptom of a dairy allergy is anaphylaxis. In those most severely affected by dairy allergy, an anaphylactic reaction, if it occurs, usually begins within minutes after ingestion. Anaphylaxis is a systemic reaction, which means it affects various organ systems. In addition to the skin, gastrointestinal and respiratory symptoms already described, constriction of the throat may make it difficult to breathe. 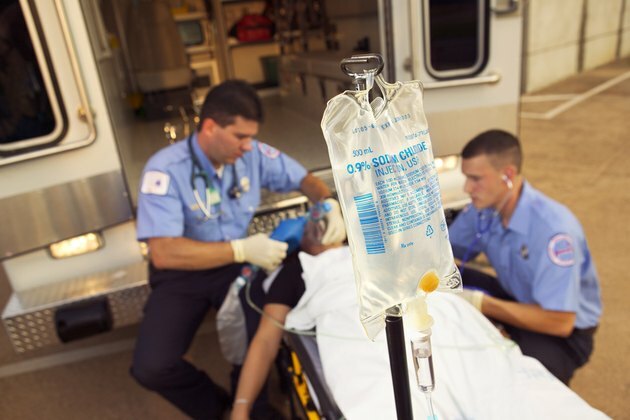 Wheezing, tremors, fainting and seizures are also known symptoms of anaphylaxis. Anaphylactic reaction to dairy consumption is a medical emergency that requires immediate treatment.